In this photograph, you find me proudly standing at the entrance of the Mukteswar Temple. 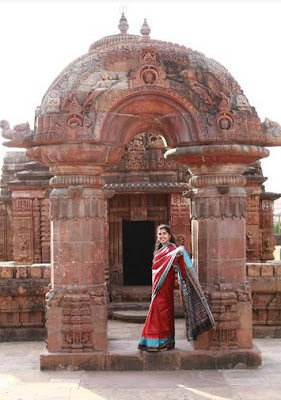 The Odisha Handloom Silk Saree, I am dressed in, looks more beautiful in front of the magnificent 'Torana' (arched doorway) . The elegant arch gate captivates at first glance. 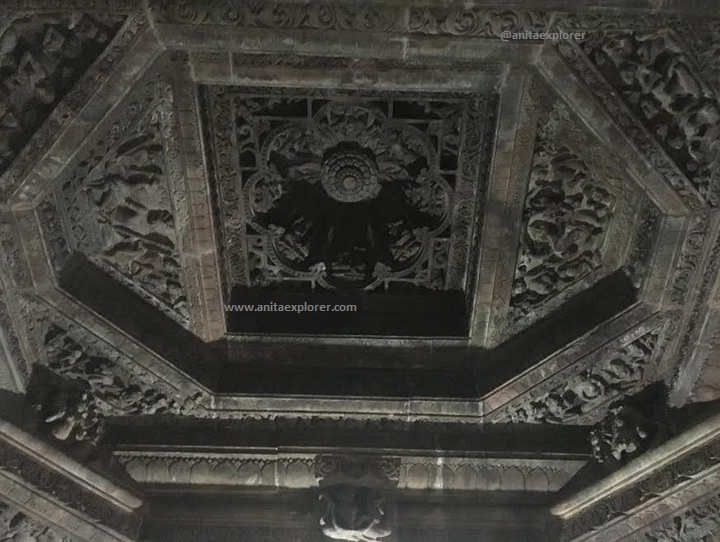 On the 'Chaitya' arch, there are lion heads with open jaws. It seems like a precious piece of intricate and delicate art by highly-skilled craftsmen. 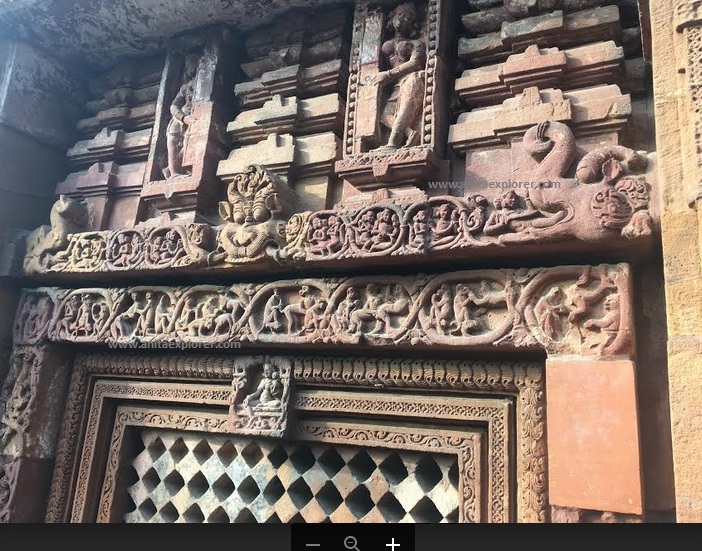 While retaining the characteristics of previous architecture, the Jagamohana has a pyramidical roof and is evolved as an independent structure. 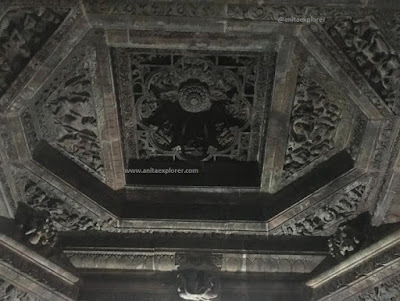 There are beautiful carvings on the interiors of the roof. The Jagamohana and the main temple are constructed on high platforms. The walls are sculptured. In the premises, there is a sacred tank and minor temples with sculptures. 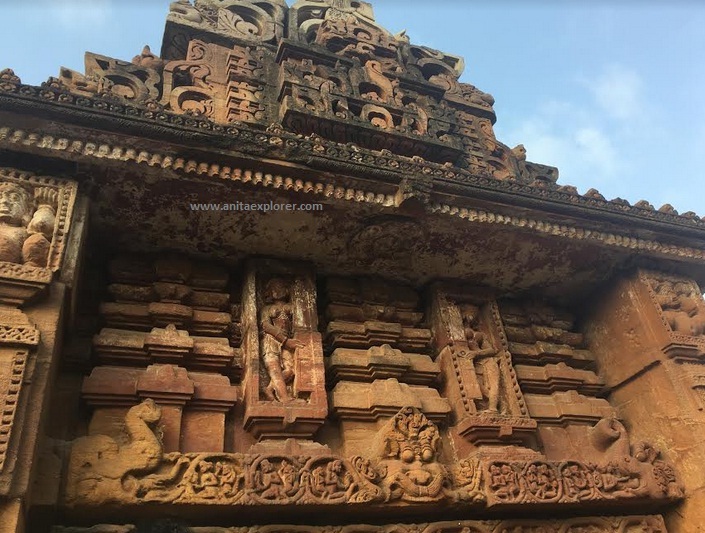 Mukteswar Temple is a testimony to the talented artisans of Kalinga and the stellar Kalinga style of architecture. 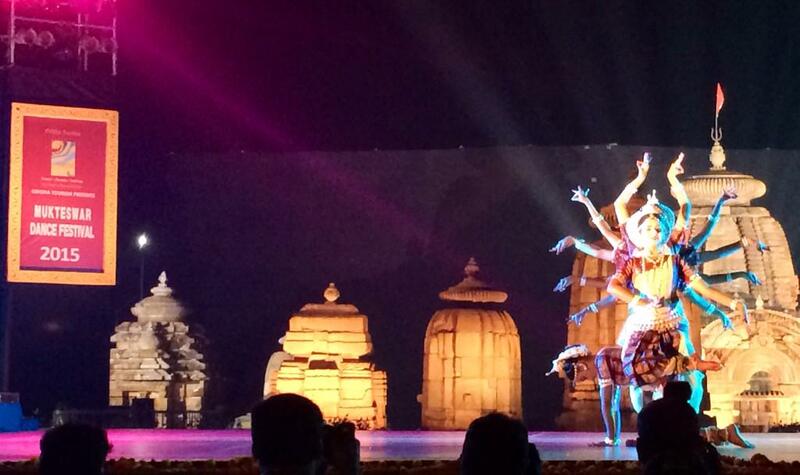 'Mukteswar Dance Festival' is a famous annual event that is held in this temple's premises usually during January. 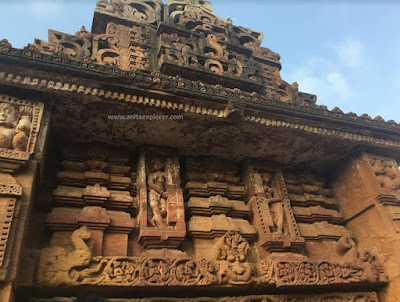 Mukteswar Temple is an exquisite Indian Heritage site that you must visit when you are in Bhubaneswar, Odisha, India. Post for my second #atozchallenge. M for Mukteswar Temple. You look lovely in your Orissa handloom saree Anita.